There is an overwhelming range of rugs available in the market, each trying to outdo its competitor, fighting to capture your attention. While the marketing pitches can get very invasive, most of them seem rather reluctant to talk about one thing—ethicality of their produce. This topic is a result of a rather long discussion that happened at a friend’s place last week. The overall mood was upbeat. The occasion was like a house-warming gig and the hosts were enjoying every moment of compliments from the guests. One of the most appreciated elements of their new living space was an Oriental Rug. Somewhere during the conversations, a question emerged—recently there has been a lot of debate about how some big lifestyle brands indulge in exploitative labor practices. Does this apply to the niche of rugs and carpets too? To ensure the young couple wasn’t bogged down by the morality of their purchase, the debate was quickly wrapped up but the topic registered in our minds. Why talking about ethics is apt in the niche of Handmade Rugs? If you dig into the subject, you will realize natural rugs are highly vulnerable to being sourced from unethical, inhumane practices. Just consider this—a humble looking 8 x 10 hand-woven rug might have a million knots, each hand-done knot takes considerable effort. Still, many conventional rug-making locales just about manage to sustain themselves. In today’s era of every handmade item being termed sacred, pure or organic, isn’t it strange that natural handmade rugs are often available at hugely discounted prices? Rug weaving history is to be blamed! If you have already been thinking this issue, you are not alone. Chances are that some human rights group has already put serious doubts in your mind about buying that wonderful looking rug. However, you should not blame yourself for this. To a certain degree, the problem lies in the eastern Asian culture where rug making often became synonymous with child labor. Weaving and embroidery often meant laboring in conditions that would now appear inhumane. Even the concept of children having more dexterity due to their smaller fingers is somewhat of a myth construed over centuries of household weaving for below-average wages. 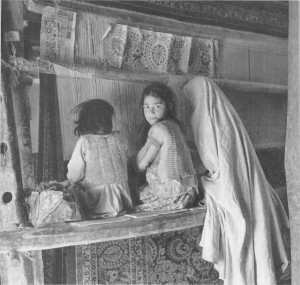 Most rugs are sourced from rural-based, household set-ups. These are small enterprises where men, women and children work hard in very humble environments. This is unlike the well-paid industry workers at an assembly line setup. 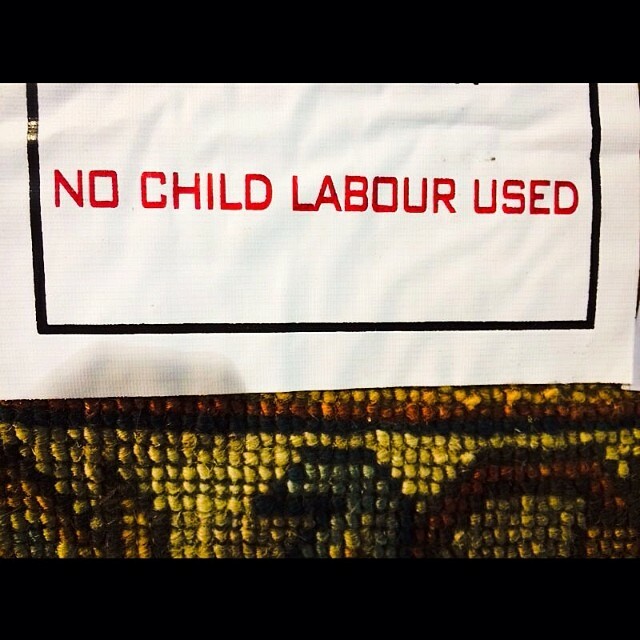 In many Asian rug-making locales, chances of engaging child labor are higher than you can imagine. The reason is simple—smaller, nimble fingers can work intricate designs a lot better and the wages are invariably lower than employing an adult resource. 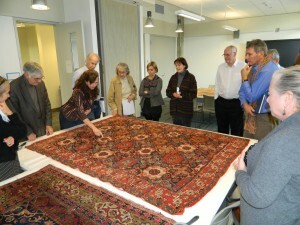 However, this does not mean that every Oriental Rug is a result of human exploitation. Still, there are rug sellers and re-sellers who intentionally indulge in such practices to maximize their profit. While some rug destinations like Turkey can boast of negligible chances of unethical rugs, the same does not apply to every Asiatic destination popular for its rug produce. As a consumer, you might be unintentionally fueling such inhumane industries. To make a better, well-informed choice, you need to be more aware about the type of rug you are about to purchase. Why making the right choice is difficult but not IMPOSSIBLE? It is hard to get an ethically made certification for each rug. There has been a rising incidence of rug makers getting Fair Trade certifications or Good Weave licenses. Still, there is every chance that the rug you are about to buy does not carry sufficient proof of its ethicality. You can ask questions about the locations from which rugs have been procured and environmental impact of the rug’s creation process. Invariably, rug sellers indulging in fair trade practices are least likely to offer genuine handmade rugs at throwaway prices. Sticking to morally correct rug making ensures that the pre-market cost cannot be restricted beyond a certain point. 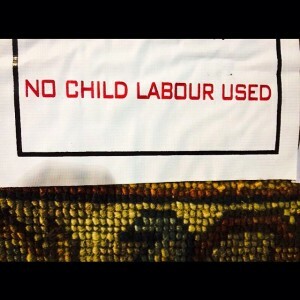 Ethical rugs are also about fair pricing and the profits being shared with the real workers. The rug industry is highly susceptible to getting inventory where the skill of weavers is not aptly awarded. Now, more non-profit organizations are taking the ownership of ensuring that rug sellers pay weavers more-than-reasonable wages. Other initiatives include assuring primary education to children from the rug weaving communities. The industry might see a price revision not to a customer’s like but at least the exploitative traditional practices will give way to a more responsible approach to making rugs. For regional communities that carry on the legacy of this intricate art, this is a big step forward. As consumers, it is vital that you support their cause. The onus is on you to buy rugs from retailers who have proven credentials in the market. Quality rugs at a genuine dealer will not come with jaw-dropping discounts. Think of the rug provider as your partner in making a smart, educated buying decision. The retailer should be able to guarantee the authenticity of rugs, taking the time to educate you about the creative process and the rug’s regional heritage. With this approach, weaving communities will get their share for handcrafting a rug that will last you for years and you earn the satisfaction of knowing that your purchase hasn’t trampled human rights.